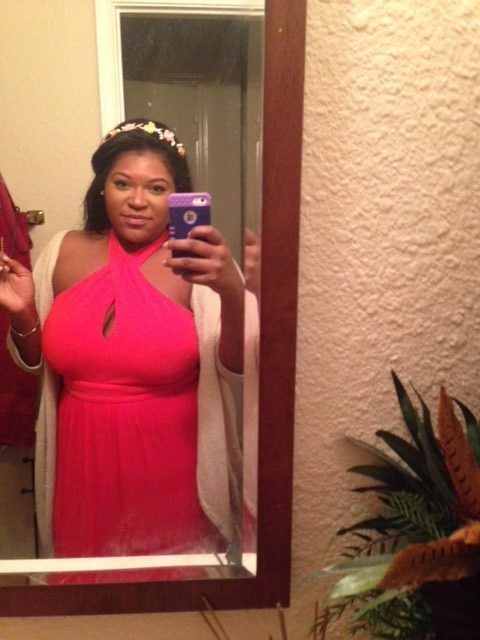 Home / Weight Loss / Real Weight Loss Stories / KenDrea Mayes’ Confidence Skyrocketed After Losing 90 Pounds! 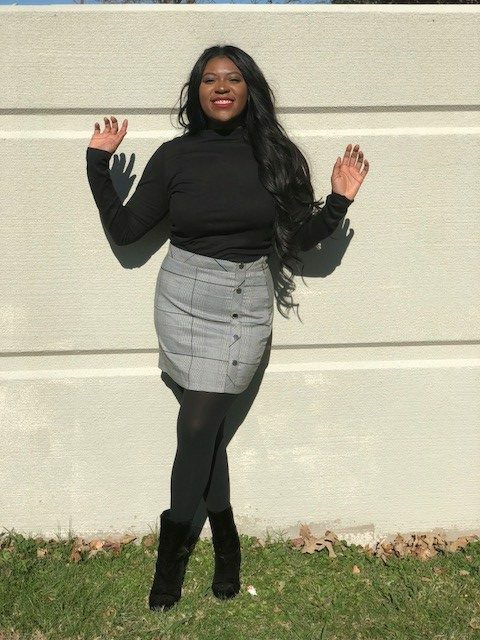 Lets check out KenDrea Mayes’ incredible story about her healthy weight loss journey in an exclusive interview with Women Fitness below. I always have been on the heavy side. My mother was always working and eating out became our thing. By the time I attended college in 2009, eating out became more frequent. I was a college student who had deadlines and papers and let’s be honest, partying. When you have little money, it’s always easier to go to McDonalds or Jack in the Box where there is a Dollar Menu. My typical day of eating would be Starbucks for breakfast, nothing for lunch, and a burger for dinner. It was easy, it was cheap, and it satisfied my hunger. I counted “working out” as walking to class every day. I never worked out and I never weighed myself. I would always base my weight on how my clothing would fit and nothing else. After I graduated college I continued eating unhealthy until February 2017. I’m a very competitive person and my coworker bet me 100 dollars on who could lose the most weight in February 2017. My job partnered with this health company and they provided free digital scales that sync and track to your phone. The day I received my scale on February 5, 2017 was the first time I had weighed myself since 2005. I was shocked to find out I weighed 240. After finally seeing and accepting I was overweight, I knew I had to make a change. Too many people my age are starting to have health problems because we are unhealthy at a younger age and I didn’t want to be a statistic. I’m going to be honest, it was hard for me to accept I was overweight. I always made excuses for myself (the camera adds extra pounds, it’s what I’m wearing, etc), but finally seeing a number woke me up and made me decide it was time to change my lifestyle. I think remaining positive throughout my weight loss journey helped me significantly. I knew I needed to lose 100 pounds, but I never set my mind on that big goal the whole time. I just tried to do little goals like 20 pounds in a month and a half. 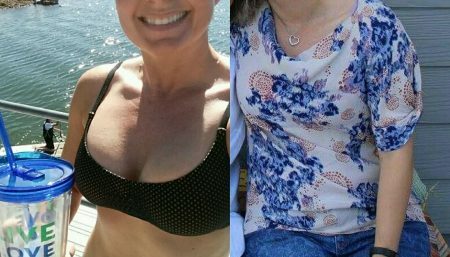 After researching different plans, lifestyle changes, etc. I found Atkins which is a low carb diet. The website was very simple and very specific in what I needed to eat, but it still gave me the flexibility to be able to experiment with food and still feel full. A low carb diet forced me to meal plan and cook for the week instead of eating out because I wasn’t able to eat bread, pasta, rice, beans, chips, soda and fruit juices. It made me get out of my comfort zone and start cooking healthier at home. The hardest milestone I had to overcome was my plateau at around 50 pounds. It became a little frustrating because I was doing everything right, but the scale wasn’t moving. I had to learn to be patient and believe in the process. I changed my exercise regime and added an additional 15 minutes of strength exercise (ex. Leg press, curls). I never used to work out. Honestly, now to this day I still don’t like the gym. But, starting off in February 2017, when I started my low carb lifestyle I also started working out. I didn’t push myself because slow and steady finishes the race. I started simple, walking during my lunch for an hour. It also helped that I was using a Fitbit at the time and I was trying to get 15,000 steps a day. I started walking 5 days a week and did this for the first month. By my first month I was 20 pounds down. In March 2017 I started going to the gym 4 days a week and working out on the elliptical for 45 minutes. 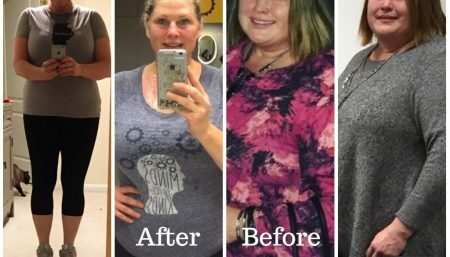 I stuck with this cardio and by 6 months I was down 62 pounds! Currently now, I am starting to add some strength training and weights and currently I am down 90 pounds! A normal day consists of bacon and eggs for breakfast (yes, I said bacon! ), a crockpot recipe soup, and an experimental dish for dinner (ex. Zucchini lasagna). For my snacks I can’t have chips anymore, but I learned to use celery dipped with guacamole, almonds, or snapped peas. My friends, coworkers and family have been my motivation. It’s so helpful to have a support system with people that encourage you even when you’re not feeling the best, motivate you when you feel like giving up, and uplifting you even when you lost just 5 pounds. Also, health communities are great places to connect with people who are experiencing the same ups and downs. But, I think the most encouraging aspect in all this is where it all started: the scale. Even losing 5 pounds seemed like a victory and once you see the scale go down, you never want it to go back up. I weigh myself in the morning every day. Some days I’m heavier, some days I’m lighter, but I’m always happy by the end of the week to lose even just a pound. That’s one pound of fat less than the week before! Atkins is a lifestyle choice, meaning my eating habits have changed. It’s natural now to look at the carb count and to go for a lettuce wrap instead of a sandwich with bread. I also still weigh myself weekly, to monitor my weight. I think the main thing is to just be consistent. 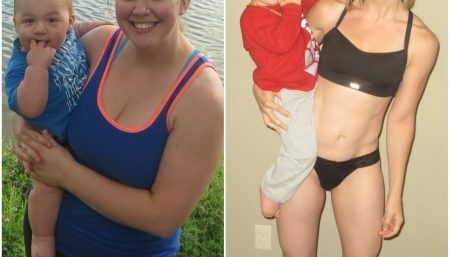 Just because I lost 90 pounds doesn’t mean I should stop working out and eating healthy. This is something I will have to continue to do my whole life. It’s actually an exciting journey!